Inspired by this quote from Max Planck, the German physicist and founder of quantum physics, Grant turned to Benson’s portfolio to reimagine their products and services. 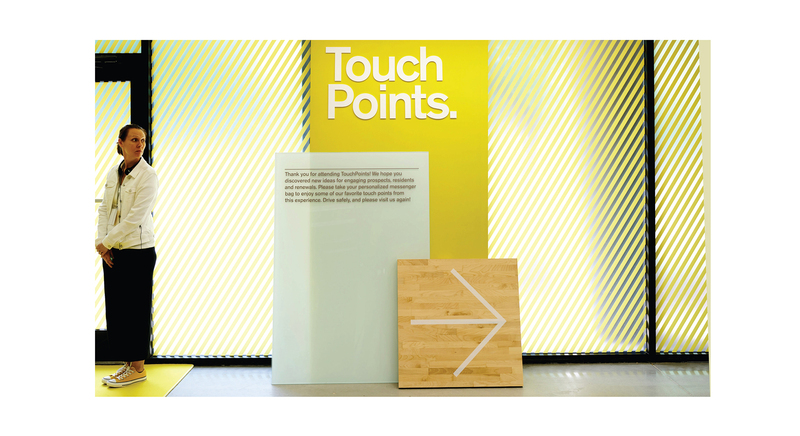 Every element of TouchPoints was produced by Benson and all components were selected from the current offerings of their primary business units: Signs, Prints, Promos, Wears and Designs. From provocative e-blasts to sleek signage, attention to detail and process were critical to the program and its promotional components. Whether it was the feel of fine paper and raised ink, the shimmer of metallic sleeking or three-dimensional signage, Grant encouraged event attendees to experience different methods to enhance communication by awakening the senses to strengthen their brand revenue. 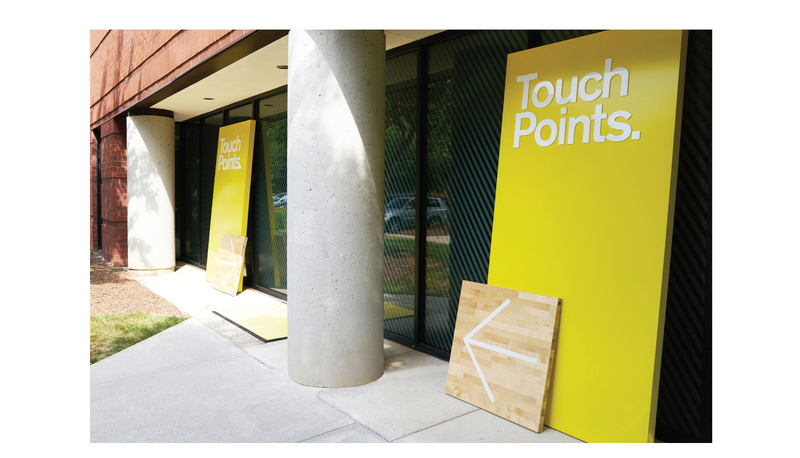 “A vibrant yellow color was used throughout touchpoint components for its warmth, cheerfulness and power to increase mental activity and energy. Yellow is widely considered to help activate the memory, encourage communication, enhance vision, build confidence and stimulate the nervous system. It was a bold expression of Benson’s artistic power and intellect reflected in their work and culture,” explains Grant Design Collaborative Creative Director, Matt DeFrain. A late afternoon rendezvous for the event provided guests a respite from the deadlines and demands of their routine office environment. It was important guests come with an open mind, fresh perspective and curious anticipation. After check-in and welcoming libations, guests were placed in small groups and whisked away to three distinct experiences by event partners HP, Neenah and Sappi. The heady and inspiring presentations flowed into the cathartic atmosphere of Luster as all parties reconvened for signature cocktails and innovative cuisine, inspired house beats, and additional touchpoints to the senses. As guests mingled and discussed their event experience, DJ Mike Zarin settled into a groove that fused musical touchpoints from eclectic genres into a sleek, contemporary mix. Atlanta photographer, Guy Welch of Ground Floor Studios, documented the entire event for future touchpoints. At the close of the event, Benson’s clients were presented with personalized swag bags embroidered with their names and filled with enticing sample touchpoints, including gift cards in custom sleeves, playful door hangers, and delectable recipe cards.